The headline was shocking: “Anti-trafficking group loses Government funding.” But ACRATH is fighting back and has launched a national fund-raising appeal after the announcement from the Federal Government revealed that it would not be funding the organisation this year. The support of ACRATH by the Sisters of Charity of Australia is long standing and continues. And never has there been a greater need, nationally and internationally, for this highly respected organisation. 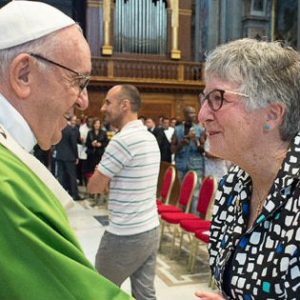 At the invitation of Australian Catholic Bishops Conference, and representing ACRATH, Sr Colleen Jackson rsc joined 28 other international delegates at the Forum on Human Trafficking in Rome from July 4 to 6. In February this year, the Vatican Migrants and refugees Section organised a consultation on Human Trafficking and invited Church leaders, expert practitioners, and scholars to share their concerns, identify challenges, and propose solutions. (The Vatican Migrants and Refugees Section was set up by Pope Francis to give special attention to pastoral responses to challenges which face migrants and refugees). Following the February consultation the M&R Section drafted a document that will form the basis of new guidelines similar to “Refugees and Migrants: 20 Pastoral Action Points on Refugees” At the July Forum, Conferences of Catholic Bishops from around the world were invited to critique the draft Guidelines in preparation for the publication of the final document, due for release in September 2018. “Human trafficking is not just an issue for countries outside Australia” said Sr Colleen after her Rome visit, which included meeting with Talitha Kum, an International network of networks against Trafficking in Persons founded by the International Union of Superiors General in 2009. Sr Colleen is the Oceania representative on the Talitha Kum International Coordination Committee. 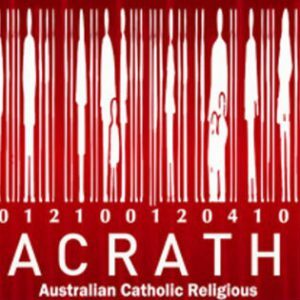 “ACRATH does immense work here in Australia, and is a major force in advocating and campaigning to combat human trafficking, and support victims of human trafficking and forced marriage. It has been a major contributor to the Modern Slavery Bill currently before our Australian Parliament”. ACRATH National Office, 54 Beaconsfield Pde, Albert Park, 3206. Please send an email to treasurer@acrath.org.au if you make a donation by direct deposit giving name and contact details so that a receipt can be sent.